$12.99 per pair List: $20.75, You Save: $7.76! The Promark Rebound 5B Drum Sticks work well as rock sticks (or even concert sticks) because of their 5B-like diameter! The hickory construction makes them last through gig after gig. The acorn tips on the ends of these sticks give you a wider "sweet spot" than a teardrop shape, creating more articulation and responsiveness. The balance point has been purposefully moved to the back of the stick, making it feel like the sticks are doing all the work for you. Back-weighted because of the long 3" taper, these sticks bounce off of heads and cymbals much more easily than front-weighted versions. 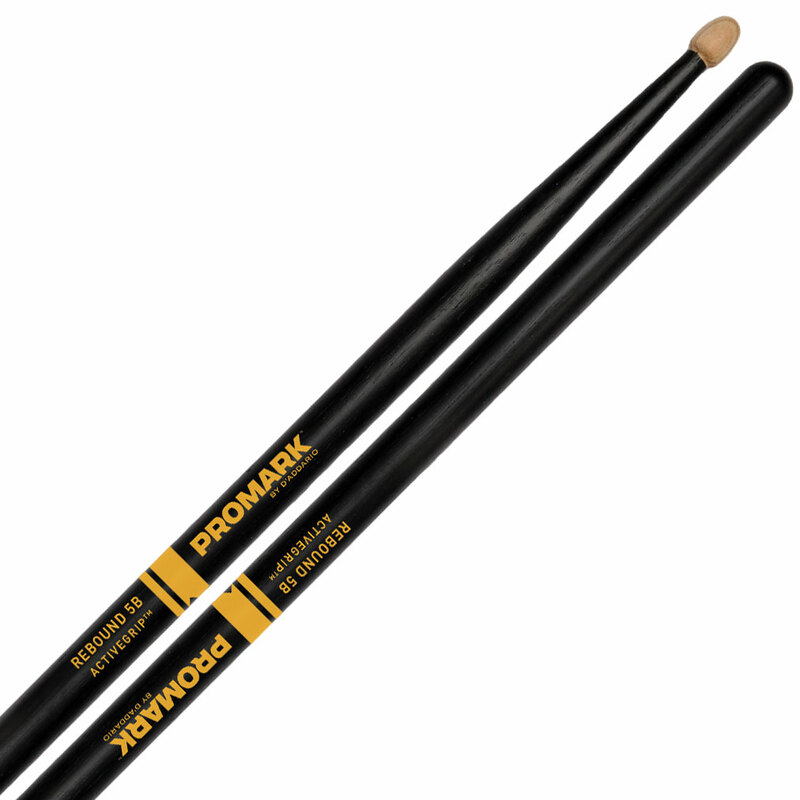 A thin coating of ActiveGrip becomes tackier as your hands sweat from exercise and stage lights, keeping your sticks from slipping out in the middle of a performance. It won't tear up your hands, and it doesn't add any noticeable weight or thickness. It won't get on your cymbals or rims, either.